Understanding grammar will help you on your way to foreign language fluency. When learning the French language, it’s important to understand French grammar and the role that its verbs and adverbs play when using the language. When dealing with tenses in Engish, you’ll soon see that it is relatively simple. There are the usual exceptions that make it a little harder to conjugate, like words like swim and run, but compared to French verbs, this is really easy. In fact, most western language have more complex conjugations than English. It may come as a bit of surprise with French since English is partly derived from French. Like articles, you are going to find yourself having to adjust verbs based on if the subject is singular or plural, and the person being talked about. 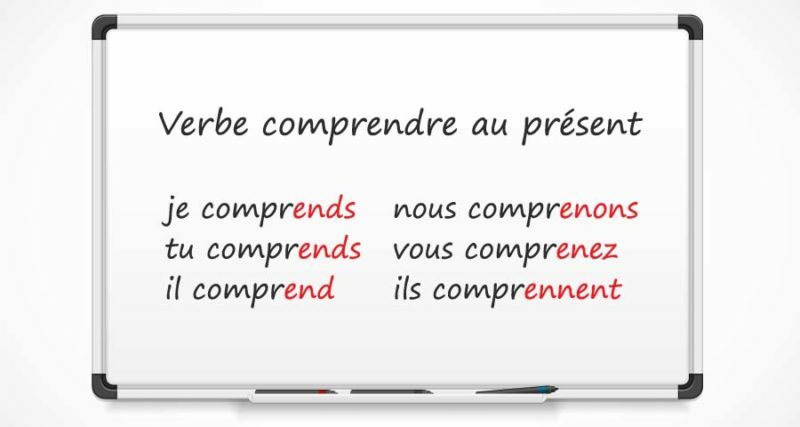 The first tense to learn in another language is present tense, and it is actually simpler in French than English. This is because English has three different ways to express present tense. In French, you only have one way to express the present tense. It means the same as all three versions of the English present tense. This makes it the ideal place to start looking at the three verb ending types. The conjugation of the second person plural (“vous”) conjugation is almost always the same. If you aren’t sure, you can fall back on the one shown above (“Vous –ez”) and you will almost always be right. Do take the time to memorize the exceptions and practice working them into conversation. The easiest of the three types is verbs ending in “-er,” as well as it being the most common. The following table shows you how to conjugate this verb in the present tense. I walk. I am walking. You walk. You are walking. He walks. He is walking. We walk. We are walking. You all walk. You all are walking. They walk. They are walking. Though you need to know how to spell them, the singular endings (“-e” and “-es”) and third person plural endings (“-ent”) are all silent. This will make it easier to get it right when speaking – but you will need to spend time writing them out so that you learn the differences. The following table contains the standard way of conjugating “-ir” verbs. However, you should be aware that a large number exceptions. This verb ending will likely take you a while to learn as it will require a considerable amount of memorization. I finish. I am finnishing. You finish. You are finishing. He finishes. He is finishing. We finish. We are finishing. You all finish. You all are finishing. They finish. They are finishing. All three singular forms sound the same, making it easier to conjugate when you speak. Do take the time to learn how to spel them though as they are not the same conjugation. There are two verbs that end in “-ir” that do not follow this pattern: “ouvrir” (to open) and “offrir” (to offer). These follow the same conjugation as the “-er” verbs. The following table contains the standard way of conjugating “-re” verbs. Like the “-ir” verbs, there are as many exceptions as there are verbs that follow these rules. That doesn’t mean it won’t help, but you will need to spend time memorizing the the excptions once you have the baseline down. I say. I am saying. You say. You are saying. He says. He is saying. We say. We are saying. You all say. You all are saying. They say. They are saying. The following table shows you the present tense form of common verbs that do not follow these rules. Past tense in French is a lot more like English – you have several ways to express the same idea. Just as you can say either “I spoke.” or “I have spoken.” in English, you have two options to express tense in French. The easiest way to follow them is to break them down by the verb endings (just like the present tense). However, before getting to the breakdown, let’s review how to create the past participle in French. In the example, “I have spoken.” is the past participle form while “I spoke.” is the simple past tense. You will need to conjugate the action verb by adding “-é” (for –ER ending verbs), “-i” or “-u” to it, plus adding the right conjugation of “avoir” (“to have”) before the action verb. This covers the three common ending types. As you probably remember though, there were a lot of verbs that were exptions to the established rules. The following table will help you with some of the most common irregular past participles. Sixteen French verbs use “étre” instead of “avoir” to express the past participle. Note that the sound does not change, but you need to know the correct spelling for writing and reading. In French, making a sentence have a negative meaning, you add “ne … pas” around the first part of the verb (“être” or “avoir”). They did not arrive on time. Elles ne sont pas arrivées à temps. I haven’t paid the bill yet. Je n’ai pas encore payé la note. When you want to express how things use to be, you do that in the imperfect past tense. French also has this tense for the same purpose, and it follows similar rules as English. I spoke. I used to speak. You spoke. You used to speak. He spoke. He used to speak. We spoke. We used to speak. You all spoke. You all used to speak. They spoke. They used to speak. I finished. I used to finish. You finished. You used to finish. He finished. He used to finish. We finished. We used to finish. You all finished. You all used to finish. They finished. They used to finish. I waited. I used to wait. You waited. You used to wait. He waited. He used to wait. We waited. We used to wait. You all waited. You all used to wait. They waited. They used to wait. “Ais”, “ait” and “aient” are all pronounced the same, like the “e” in “bet”. There is one more way of saying something in the past tense with a slightly nuanced meaning. It is called the pluperfect tense and includes the use of “to have” in English. The French pluperfect tense follows the same pattern. Identifying future tense is simple – it includes the addition of “will.” For example, “I will go to the store” and “They will get to it later.” You can also use “shall,” but that word comes with certain conotations (it is used to indicate something is required) that are largely ignored today. As French does not differentiate between “will” and “shall,” we won’t go into it here. Future tense is more difficult in French because you do not add a word to indicate future tense; you conjugate the verb to show future tense. Like the other tenses, that means memorizing the common endings and irregular verbs. Fortunately, you don’t have to memorize three different conjugations for the three different verb endings – they all follow the same pattern: the infinitive (without its final “e” for the 3rd class of verb) and the same ending. You all will give back. Notice that all three have the same verb ending, so you only have to worry about the case and plurality to express future tense. Many of the verbs that were irregular in the present tense continue to cause problems and be exceptions in the future tense as well. You can memorize the following tables of common irregular verbs once you are accustomed to conjugating regular verbs in the future tense. It is also possible to avoid using future tense if you feel too bogged down in the other tenses to learn these new verb endings. In English, you do this by using a form of “to be” and “going” – “I am going to go,” “She is going to find it,” and “They are going to be late.” All of these indicate something that will happen (it is a future event), but none of them use the future tense with “will.” It is exactly the same in French. She is going to find it. They are going to be late. Ils vont être en retard. I leave for London on Friday. As if there weren’t enough tenses, both English and French also have the conditional tense. As the name implies, the structure of the sentence changes based on a condition. “Would” is the most common Engish word associated with this tense – “I would go if the timing were better,” or “They would have found.” There isn’t a word in French to create this tense, but another way to conjugate the verbs. Like the future, it’s based on the infinitive form (without the “e” for 3rd class verbs) to which the endings of imperfect are added. And like all other tenses, there are some verbs that simply refuse to follow the set pattern. It is usually the same set of verbs, which makes it a little easier to remember that you need to adjust the conjugations once you need to say one of these verbs. Nearly all verbs that are irregular in the future tense use the same stem to express the conditional tense. To express the conditional tense as a past event in French, you add either “avoir” or “étre” and the past participle. Use the past participle section to determine which form of “to be” to use. I would have sold it. She would have sold it. We would have sold it. You all would have sold it. They would have sold it. You all would have left. All western languages have reflexive verbs – verbs that require both a subject and repetition of that subject after the verb, although English uses them less frequently than most languages. . For example, “I washed myself after I jogged.” You can omit “myself” and the sentence still makes sense. When speaking French, you cannot omit the reflexive pronoun. It is a little awkward to work in with plural forms because you will repeat the same word twice – “nous nous” and “vous vous.” It takes a little while to get used to it. The following is a list of French reflexive verbs. This is something that you use all the time in English, with verbs like “to get accustomed to” and “to follow up.” In French, you will need to learn when to use either the preposition “à” or “de” for the verb infinitives that require a preposition. Essentially, you are going to need to spend time memorizing the verbs and their preoposition. The following are verbs that use “à” when followed by another verb in the infinitive form. He is teaching me to swim. We are beginning to understand. The following are verbs use “de” when followed by another verb in the infinitive form. Il a promis qu’il tâcherait de venir. Ne manquez pas d’y aller. The most painful tense in English is the subjunctive tense. It is largely ignored because it sounds so wrong when you use it properly (“If I were to go, I would bring the cups.” is proper subjective, but it is almost cringeworthy because it both looks and sounds completely wrong). However, it is frequently used in French, so it is important to take the time to learn the French subjunctive sentence structure. Since you are not as familiar, it isn’t going to sound wrong to you either, which is one benefit. The following are the exceptions to these rules. Following “vouloir” and “désirer” (“to want”). I want you to do it. Je veux que vous le fassiez. Following an emotional expression, such as “regretter” (“to be sorry) and “étre surpris” (to be surprised. I am sorry that they left. Je regrette qu’ils soient partis. I doubt that he knows it. Je doute qu’il le sache. Following some impersonal expression, such as “il faut” (it is necessary) and “il est possible” (it is possible). You must go there this morning. Vous devez y aller ce matin. Following some conjuctions, such as “quoique” (although) and “avant que” (before). Tell me what happened before they arrive. Dis-moi ce qui s’est passé avant qu’ils arrivent. French follows the same pattern. For commands the endings are the same as with the present, except there is no “s” at for “-er” class of verbs when give an order to a single person. If you prefer to avoid sounding demanding or do not wish to repeat the same polite “please” every time you have to give a command, you can use “vouloir” (to want) and “bien” to turn a command into a request. Will you please speak louder? Voulez-vous (bien) parlez plus fort ? Will you please leave the key? Voulez-vous (bien) laisser la clé. There are times when you need to issue a command in the first person plural. The most commonly used version of this is “Let’s go!” It’s a command, but it comes across and enthusiastic. It does not require softening, but does require you to conjugate verbs to the first person plural form. It probably does not come as a surprise that “to be” or “être” is conjugated different than other verbs even in the command form. Be there at noon. Soyez-là à midi. Let’s be happy. Soyons heureux. Adverbs are easy in English. For most of them, you simply add “-ly” at the end of an adjective. French is a simple variation adding “-ment” to the end of the feminine version of the adjective. I understand perfectly. je comprends parfaitement.